​~Wednesday, 10/11/17~ I got up at 8 o’clock. I had breakfast across the street at The Coffee Table Café, having a sausage, egg, and cheese bagel and a cup of coffee. Back at my room, I wrote out a couple of postcards and worked on my blog entry about the three highlights of my 30 – 39 years decade, arguably the most significant decade of my life until this past one, the 50 – 59 years decade. The three 30 – 39 years highlights were: 1) touring Europe with our parents, 2) quitting IBM and working on my novel, and 3) coming out. I had asked for a noon, instead of 11 o’clock, check out and did so right at noon. 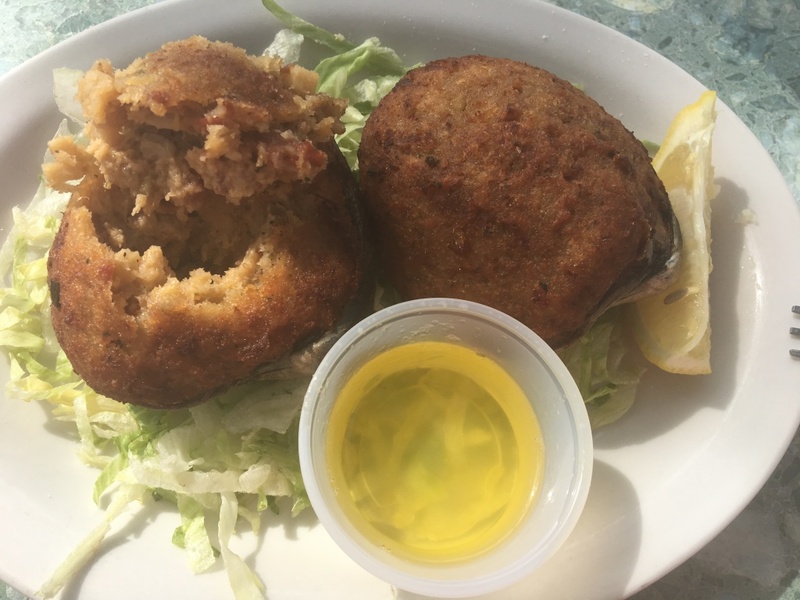 On my walk to the free shuttle at The Steamship Authority to take me to the park-and-ride to catch the Plymouth & Brockton bus to Logan Airport, I passed a place called Spanky’s Clam Shack & Seaside Saloon. 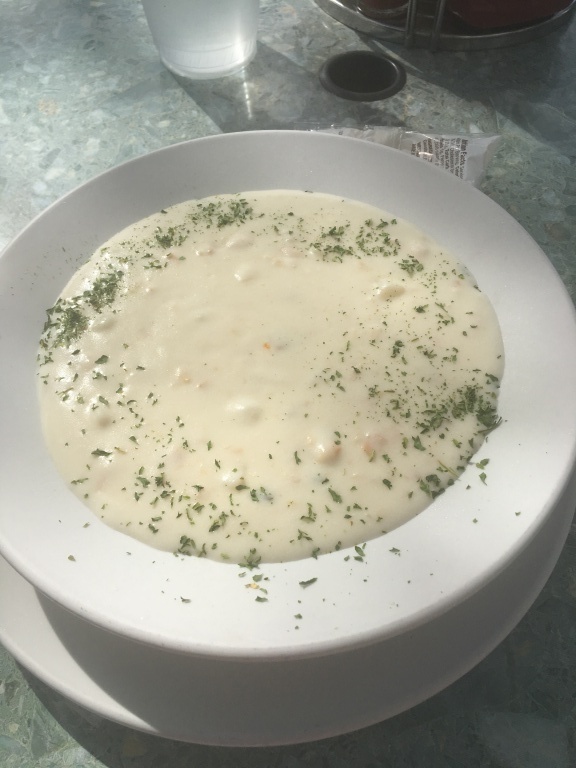 I decided to go in and have lunch to avoid the over-priced food at Logan airport, and I opted for the clam chowder and two stuffed quahogs, both of which were delicious. 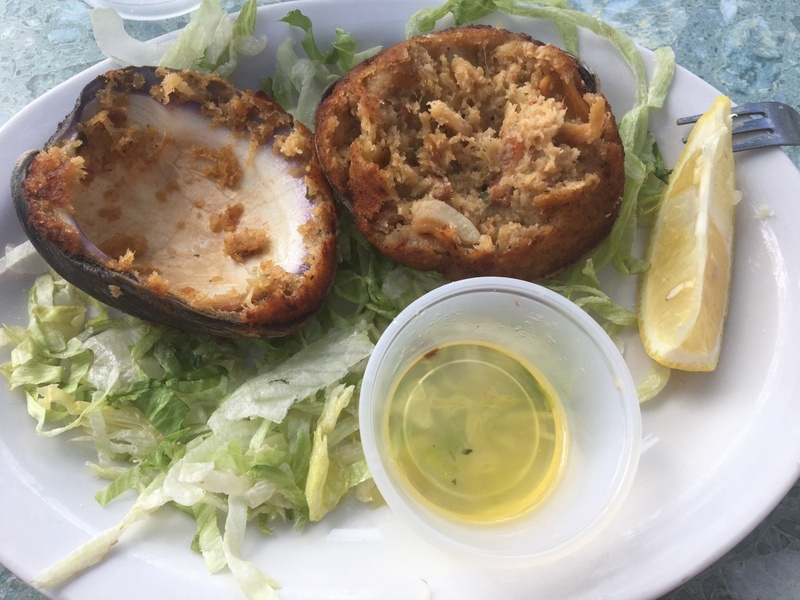 Stuffed Quahog: Cape Cod favorite, house-made quahog stuffed and served with lemon. 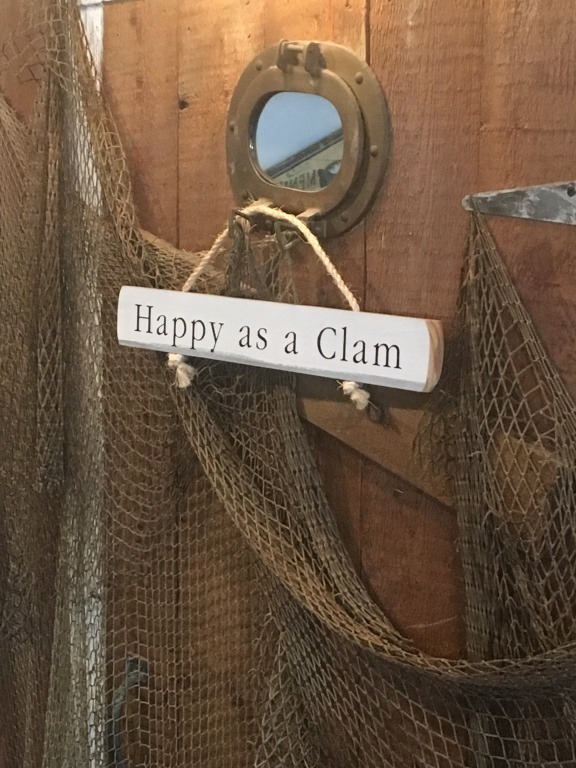 which always makes me think of the origin of the idiom: “Happy as a clam at high tide.” Over the years, it has been abbreviated to just “Happy as a clam,” which really leaves you to wonder why a clam is associated with being happy. I walked the rest of the way to the Steamship Authority, caught the free shuttle to the Hyannis Transportation Center, and waited for the next trip to Logan to leave. It was about 20 minutes late, and there were a lot of people waiting to get on it. We picked up a bunch of people at the four stops along the route. When we got to the final one, in Rockland, there were three people waiting who couldn’t get on because there was no more room. 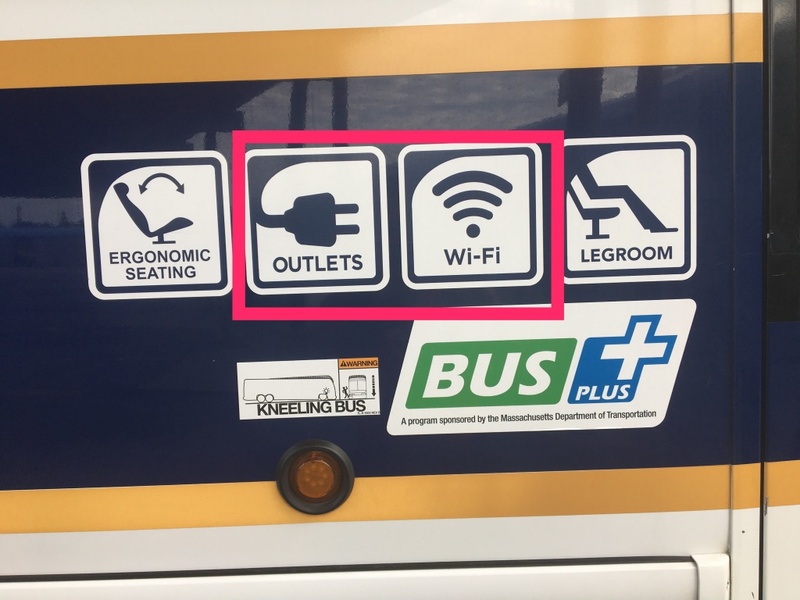 the outlets weren’t working, so my phone battery was desperately low by the time we got to Logan. My flight to Raleigh wasn’t until 8:55 PM, but I was hoping to catch the 5:05 flight. I did get on the standby list, and made it to the gate on time, but there was one guy ahead of me on the list, and he got the only seat that became available. A colleague of mine, Brooke Beasley, was on the 5:05 flight, and we chatted until she boarded. A guy next to us saw my Red Hat t-shirt on and struck up a conversation with his. 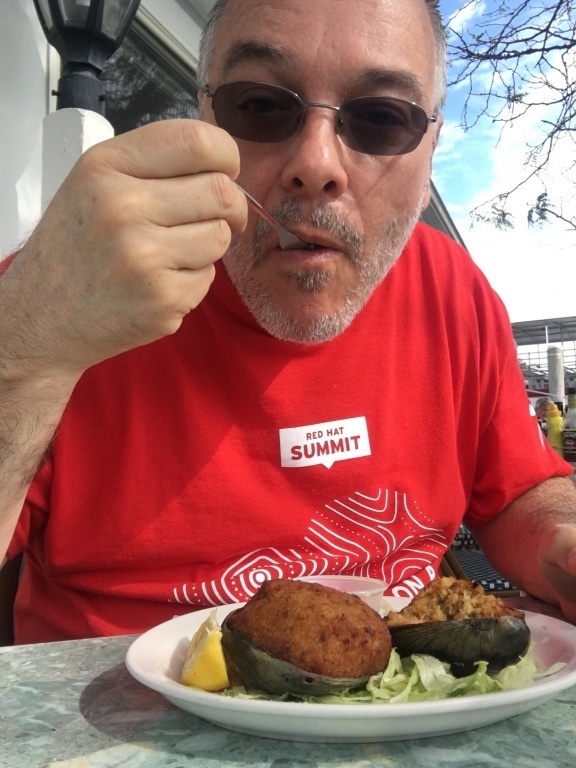 He worked for Microsoft and was familiar with our Red Hat® Enterprise Linux® on Microsoft Azure and other Red Hat and Microsoft partnership products. Since I had four hours to kill, I had some dinner, and then worked on my blog entries for yesterday and today. I was in seat 1A again, and the guy in 1C, seeing my shirt, asked me if I worked for Red Hat. “I just had drinks last night with my friend who works for Red Hat,” he said. The guy sitting in 1B, being talked across, took a quick glance at me, and then another hard look. “Yes, this is what 60 looks like, handsome, and your day will come,” I thought. My trip ended fortuitously with my two bags waiting for me when I landed, since although I hadn’t made the 5:05 flight they had. And then, the best part of all, Bob picked me up.